With its confident flat handlebar positioning and lightweight ALUXX aluminum frame Roam Disc gives you all the best qualities of a mountain bike and a road bike. Its front suspension adds comfort and control. It has powerful disc brakes and durable components so it can take some bumps on rough city roads. And the fast rolling 700c wheels can handle smooth roads or dirt making it a great choice for town-to-trail adventures. CASUAL YET ALWAYS CAPABLE. ROAM DISC IS BUILT FOR MULTI-PURPOSE ADVENTURE SO YOU CAN FOLLOW YOUR OWN ROUTE WHEREVER IT TAKES YOU. Flat-bar frame geometry puts the rider in a position that balances efficiency with stability and disc brakes give you added control on rugged roads or dirt. Compatible with front and rear racks allowing easy cargo capacity for daily trips or longer treks. 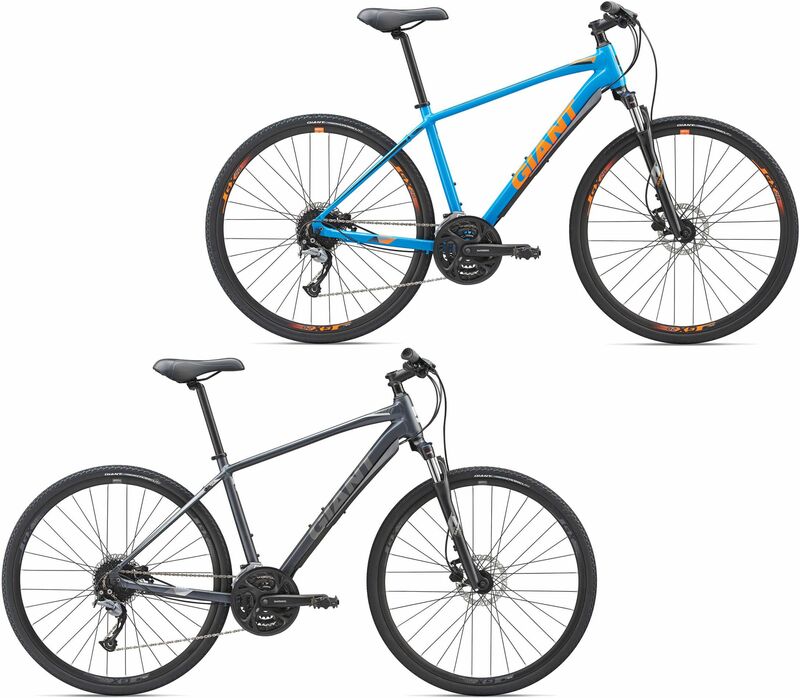 Please see below for delivery options for Giant Roam 2 Disc Sports Hybrid Bike 2019.